Drive Your Buses Just Like You Do Your Trains! A tiny wire buried in the road guides rechargeable ni-cad powered cars which are complete with front wheels that actually turn. 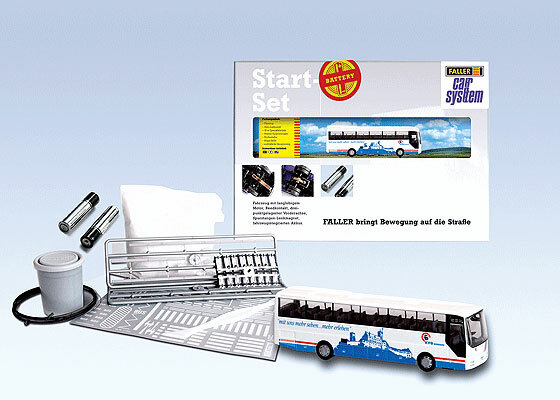 Copy this Starter-Set With MAN Bus Lion's Star to your MY ACCESSORIES roster.